So I'm simply not going to be able to put a lift on myself. I'm fairly technically capable, but just wouldn't want to screw anything up. So where is there around Lexington or even further out that could put a lift on? And not Trail Blazers. I can't stand those guys. Been in there about 10 times and not once did anyone that worked there even approach me for help. Even after asking for help it was like pulling teeth. Plus I've had friends have work done there and they are way overpriced. I know Somerset is an hr and half drive for you, but you might save big bucks if you come down here to have it done. Dales 4x4, Richmond,Ky. It is on Main St. almost to Big Hill. 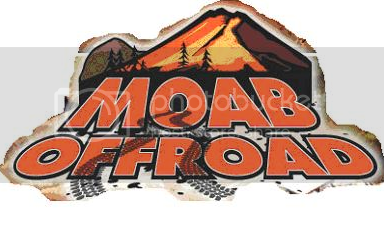 The guys over at Moab Off Road in Louisville do a great job, 1.5 hours from you but they build everything from mild to wild. I know they have done one or two KJs before. Yeah, there's SOME KY L.O.S.T. Members who are active on here and would like to have a lift party. Or wait til the Ohio Crew have a M&G and meet-up with them. I heard they can knock a lift out in no time. If your still looking I know a guy that would. He's from out by E-Town. I called Moab Off Road and they wanted almost $1,000 todo mine. He did it for a fraction of that and had it back to me in one day. Holler if you want his info.